“This Chihuahua mix puppy and her kitten sidekick showed up together on someone’s porch during last week’s rainstorm,” writes the Asheville Humane Society (AHS) of North Carolina on its Facebook page. Dogs and cats are usually separated in the shelter, but an exception was made for this pair. “We made a special ‘inter-species condo’ so these two best buddies could reside together,” writes the AHS. 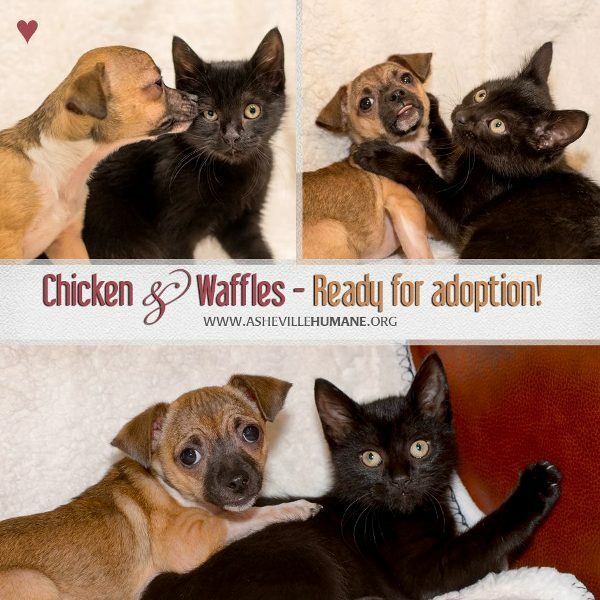 The puppy has been named Chicken and the black kitten is Waffles. Chicken is shy and follows Waffles around, letting the kitten “make all the big decisions,” according to the AHS. 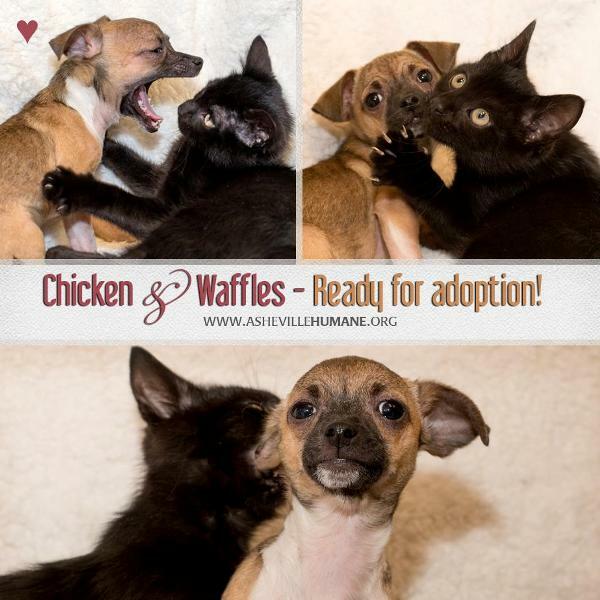 For more information about adopting Chicken and Waffles, visit the Asheville Humane Society website or email adoptions@ashevillehumane.org. Here are the “outtakes” from the BFFs’ photo shoot. Can you stand the cuteness? !